Splendidly stately; the Henry Club Chair is a superb relaxing chair for hours with your friends or with your favorite book! 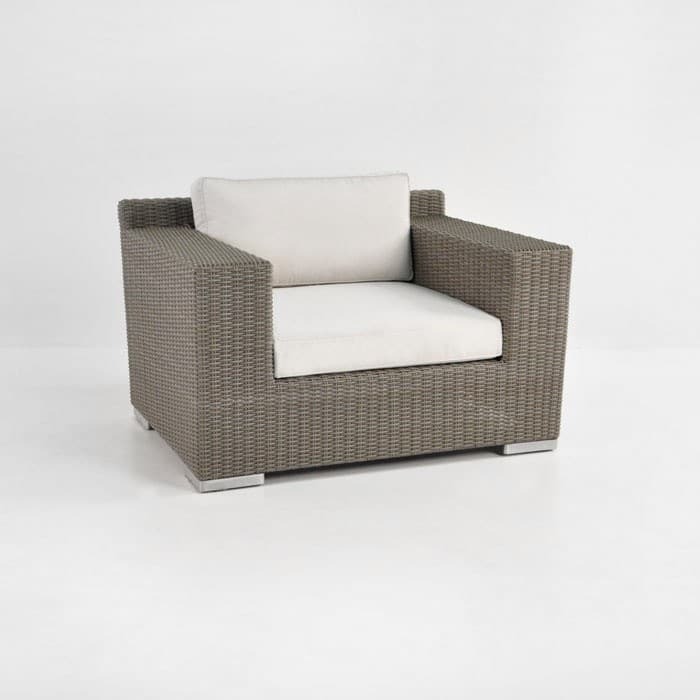 Part of the Henry all-weather wicker collection, this substantial Club Chair will make a statement on its own or paired up with the matching Henry Sofa or Loveseat. 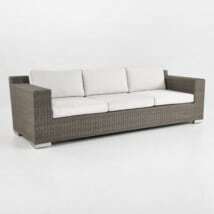 Featuring an expansive stance and dramatic wide arms, ideal for unwinding in pure comfort, or for holding a drink, plate or reading material! Create a tranquil environment in the midst of your flowers with a Henry Sofa framed on either side by Henry Club Chairs, grab a couple of our Lilli Boxes in the same shade of wicker for an extra place to set gorgeous tapas platters and trays of drinks, all so you may entertain in easeful luxury long into the night! W43" x D35" x H27"
Perhaps you have a porch that is calling for a comfortable chair to curl up in on crisp mornings with the newspaper and a cup of joe? 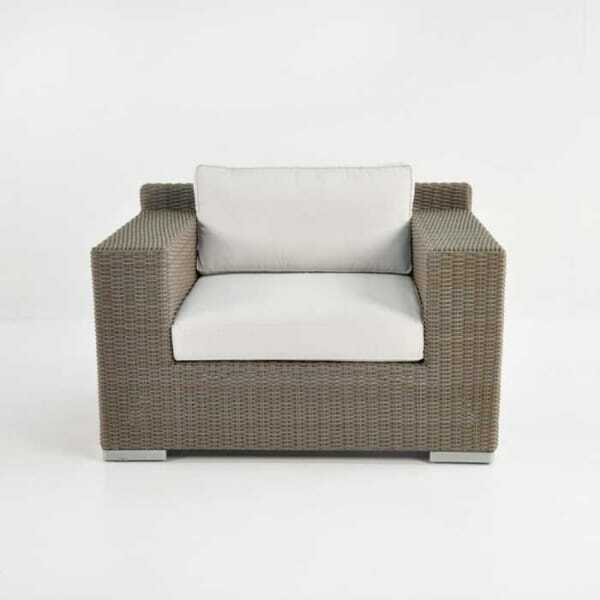 The Henry Lounge Chair is ideal, and you don’t even require a table! The sumptuous Henry Collection has three key pieces: the Henry Lounge Chair, Loveseat and Sofa is made from all weather Viro® wicker, a celebrated and award winning product, recognised for its environmentally conscious production and being a stupendously attractive marine grade product! 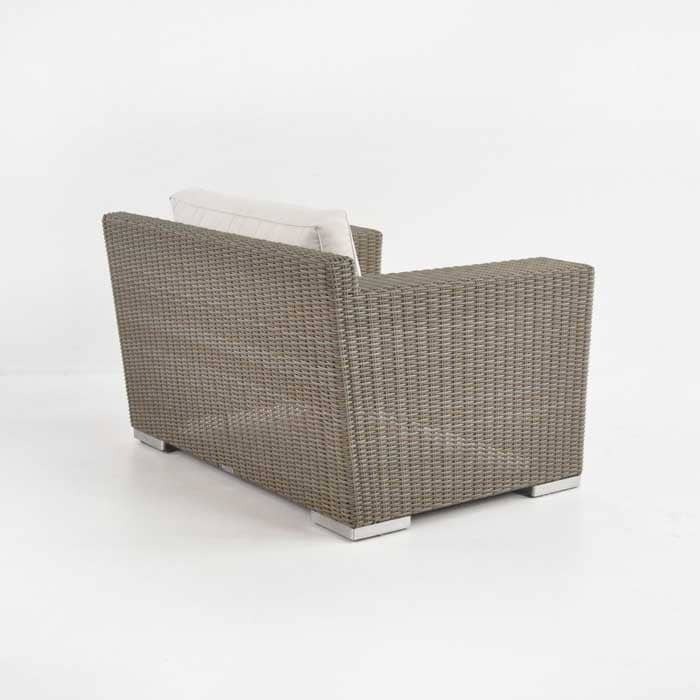 The Viro® wicker is available in Kubu Gray (as shown) and Antique Java. 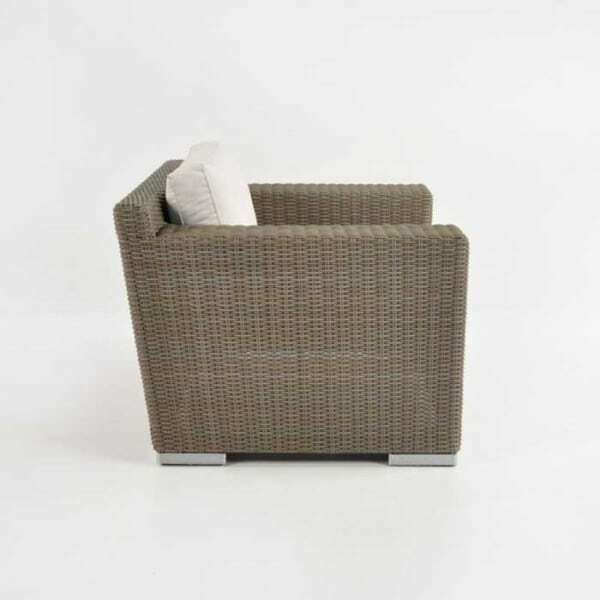 It also includes free Sunbrella® cushions as shown in elegant Canvas or warm Taupe. Feel free to call or email us! Our sales assistants are on hand 7 days a week to help you with your furniture needs!